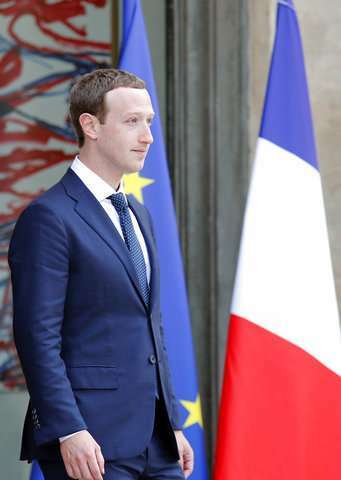 French President Emmanuel Macron took on Facebook CEO Mark Zuckerberg and other internet giants Wednesday at a Paris meeting to discuss personal data protection and taxes as France pushes for tougher European regulations. 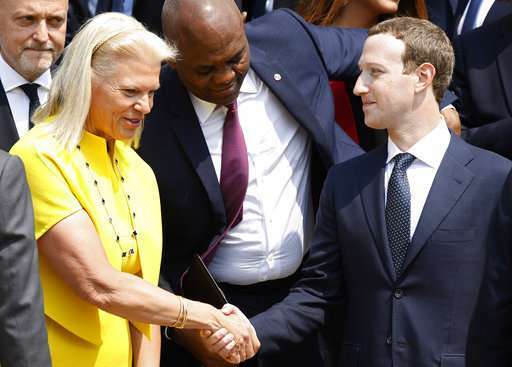 Macron welcomed Zuckerberg and the leaders of dozens of other tech companies, including Microsoft, Uber, and IBM, at a "Tech for Good" conference meant to address how they could use their global influence for the public good. 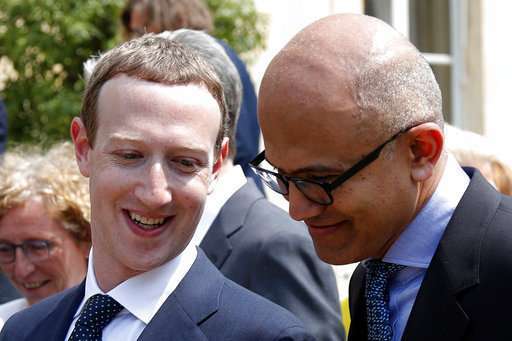 The meeting came as Facebook, Google and other online giants are increasingly seen by the public as predators that abuse personal data, avoid taxes and stifle competition. 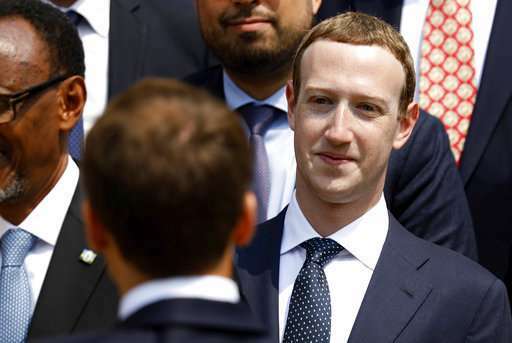 Macron, who also met privately with Zuckerberg at the presidential Elysee palace, said beforehand that he would keep asking the Facebook co-founder to make "commitments." "France defends the idea of tough regulations" such as a 3 percent digital tax on tech companies' gross revenue in the European Union, Macron said, adding that it's "crucial" that internet giants pay taxes. He also wants new regulations to combat extremist propaganda online and cyber-bullying. 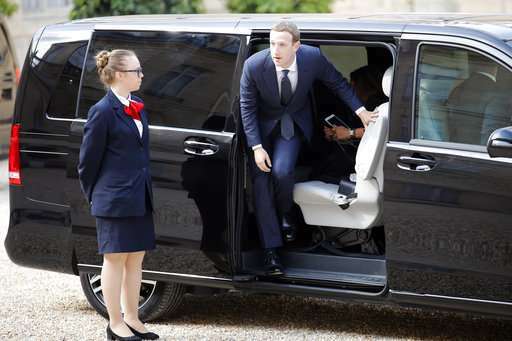 Privacy was another issue Macron raised with Zuckerberg and the other tech executives in one-on-one meetings and at a group lunch in the presidential palace with philanthropists and politicians. 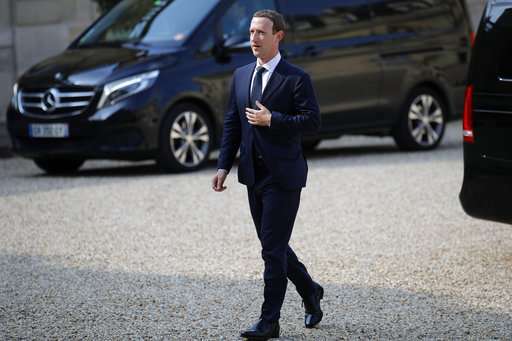 Zuckerberg came to Paris after facing tough questions Tuesday from European Union lawmakers in Brussels, where he apologized for the way the social network has been used to produce fake news and interfere in elections. 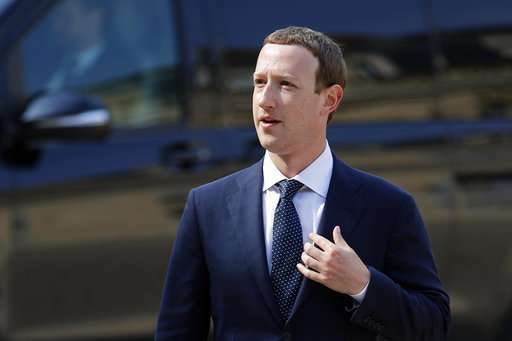 Facebook "didn't take a broad enough view of our responsibilities," he said, adding: "That was a mistake, and I'm sorry for it." But Zuckerberg also frustrated the EU lawmakers as the testimony's setup allowed him to respond to a list of questions as he sought fit. Microsoft said it would extend the new European data protection law to its clients worldwide. Google committed $100 million over the next five years to support nonprofit projects such as training in digital technologies. Uber said it will finance insurance coverage to better protect its European drivers in case of accidents at work, serious illness, hospitalization and maternity leave. And IBM announced the creation of 1,400 new jobs by 2020 in France. Tencent, China's biggest tech company by market value, presented online education programs to bring art classes and other resources to rural students around China, and projects to dispel rumors online and teach users to be more discerning. French Prime Minister Edouard Philippe called Wednesday's announcements "a turning point for companies that were navigating somehow on the edge" and are now "choosing to bear their responsibilities." It's unclear, however, whether Zuckerberg's Europe trip will lead to shifts in Facebook practices. And concerns remain that technology companies will abuse their unprecedented power over consumers, notably as new innovations emerge. 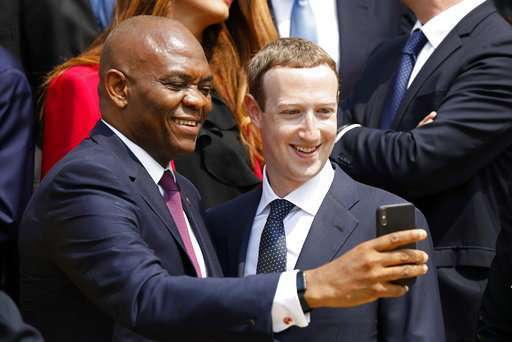 Macron, Zuckerberg and others are expected to attend the Vivatech gadget show in Paris on Thursday.